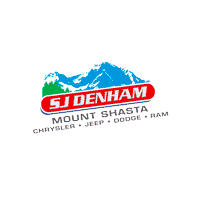 If you’re ready for a capable, off-road ready crossover or SUV in the Redding area, a new Jeep is your best option. Find your favorite model of the iconic Jeep brand in our selection of 7 new Jeeps for sale — which includes such renowned vehicles as the Jeep Wrangler and Jeep Grand Cherokee. There’s more to the Jeep line of SUVs than just its rugged exterior — each Jeep model boasts versatile engineering and expert design. Enjoy 4X4 drivetrain systems on each Jeep vehicle, and power through every hill, valley, and curve. Choose from engine options like the 3.6L Pentastar or the 6.2L V8 powerplant. And stay entertained and safe on the road with the Uconnect® app suite and navigation system, available park assist back-up cameras, and more. Still not convinced? Get in touch to learn more about any of our available new Jeep models.